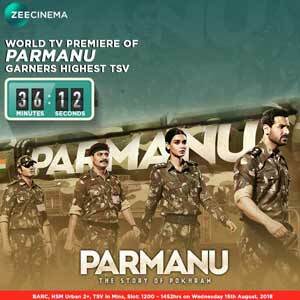 The World Television Premiere of India's Superpower Moment 'Parmanu - The Story of Pokhran' on 15th August 2018 on Zee Cinema - Home of Blockbusters has established a new milestone. The movie garnered 5,368 Impressions '000 as per BARC data for Week 33 for 2+ audience in HSM Urban markets and was the highest rated movie of Independence Day. 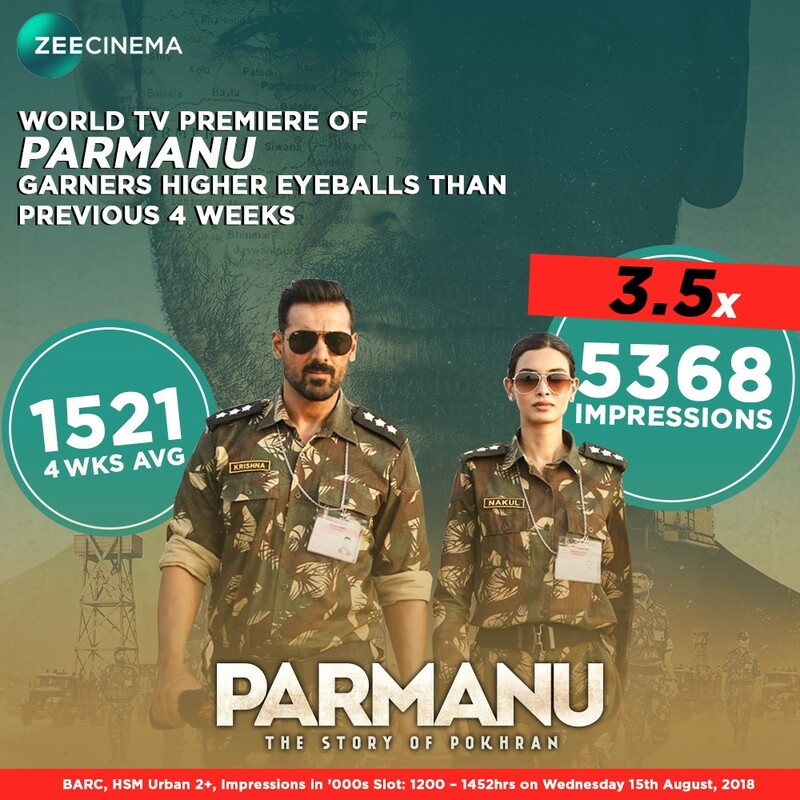 Parmanu also propelled the slot rating by 3.5 times the average slot viewership of Zee Cinema. 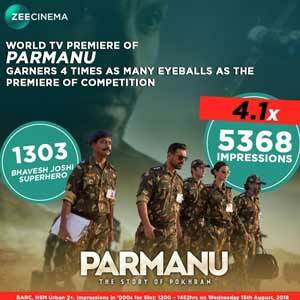 The television premiere of Parmanu superseded Salman Khan's latest blockbuster Tiger Zinda Hai on Sony MAX which rated at 3,374 Impressions '000 and garnered 4 times as many eyeballs as the premiere of Bhavesh Joshi Superhero on Star Gold which garnered 1,302 Impressions '000 in the same slot. That's not it! 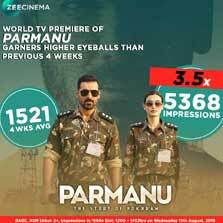 Parmanu on Zee Cinema also boasts of the highest time spent by viewers on the occasion of India's Independence Day. In a powerful masterstroke, 3 out of Top 5 rated movies were on Zee Cinema. Over the years, the channel has premiered some of the biggest titles on Independence Day and managed to garner the desired outcome. With the World Television Premieres of Dangal in 2017 and Baaghi in 2016, Zee Cinema has always managed to grab maximum eyeballs. 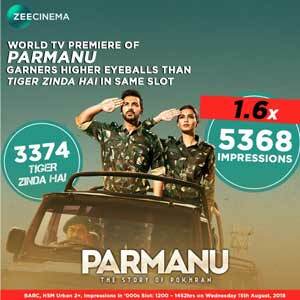 With the evolving demand of the viewer to consume chartbuster movies on television, Zee Cinema marks the yearly celebrations of Independence Day with entertaining blockbuster premieres making each year bigger and better than the previous.